A port city next to the inland sea, Onomichi maintains a small-town feel and a domestic reputation for well-preserved landmarks, quiet streets, and traditions. Step out of the city life by going to Okunoshima Island and Sensui Island. 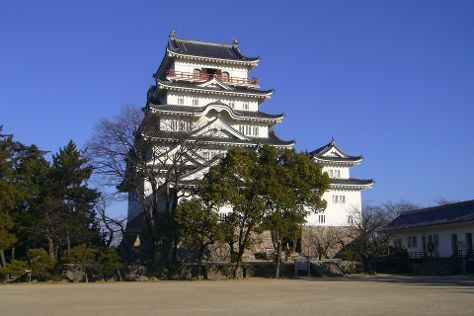 You'll explore the less-touristy side of things at Senkoji & Senkoji Park and Fukuyama Castle. Change things up with these side-trips from Onomichi: Streets of Takehara (in Takehara) and Tomo no Ura (in Fukuyama). There's much more to do: make a trip to Tennei-ji Temple, contemplate in the serene atmosphere at Saikoku-ji Temple, and steep yourself in history at Ishitsuchiyamakusari Shugyo. To find ratings, where to stay, photos, and other tourist information, read Onomichi trip planner. New Delhi, India to Onomichi is an approximately 16.5-hour flight. Traveling from New Delhi to Onomichi, you'll lose 3 hours due to the time zone difference. Traveling from New Delhi in March, things will get much colder in Onomichi: highs are around 13°C and lows about 3°C. Cap off your sightseeing on the 13th (Mon) early enough to travel to Hiroshima. Eschew the tourist crowds and head to JMSDF Kure Museum and Hiroshima Museum of Art. Get in touch with nature at Mount Misen and Bay Side Beach Saka. Explore the numerous day-trip ideas around Hiroshima: Hatsukaichi (Miyajima Omotesando Shopping Street, Momijidani Park, & more) and Saijo (in Higashihiroshima). The adventure continues: appreciate the history behind Peace Bell, take in nature's colorful creations at Shukkei-en Garden, shop like a local with Kamiyacho, and make a trip to Hiroshima Peace Memorial Park. To find ratings, photos, where to stay, and other tourist information, read Hiroshima travel itinerary creator. You can drive from Onomichi to Hiroshima in 1.5 hours. In March, daytime highs in Hiroshima are 16°C, while nighttime lows are 6°C. On the 18th (Sat), wrap the sightseeing up by early afternoon so you can travel back home.